In this short article, we’ll cover some fundamentals about PLA filament manufacturing and NatureWorks’ 3D850 resin. 3D850 refers to the PLA resin grade used in the production of our Super Premium Series filaments. All our Super Premium Series PLA filaments on offer contain ~98% 3D850 PLA resin with up to 2% of 3052D resin as a pigment carrier. Since PLA filaments are quickly becoming the most popular 3D printing material on the market, we wanted to discuss why our materials outperform the competition. PLA’s popularity stems from the fact that it’s easy to print, doesn’t create any bad odours and is environmentally friendly. However, generic PLA formulations are not without drawbacks, and we’ll do our best to explain the essential differences. In general, PLA formulations found in the marketplace exhibit low heat distortion temperatures, high coefficient of friction and low melt flow index. These attributes translate into rigid and more delicate 3D printed parts that are harder to extrude and can easily fracture. To overcome some of these PLA issues and improve 3D printing performance, NatureWorks took its years of experience in the polymer manufacturing business and formulated the Ingeo 3D850 PLA resin. We’re taking the lead by offering this premium resin to our customers. First, let’s start by discussing the chemical process NatureWorks uses to create the Ingeo line of PLA resins. The initial step in this process involves harvesting corn and extracting its starch through a wet-milling process. Suitable starches are also harvested from other agricultural sources such as sugarcane. However, corn being a common starch source in North America it’s used most of the time. The next step in the process involves heating the starch with enzymes to hydrolyze it into dextrose (D-glucose). Once the dextrose is formed through hydrolysis, the material is harvested and subjected to microorganisms in a fermentation vat to convert it into lactic acid. This lactic acid is then refined through a two-step (or more) process that forms rings of lactide. It’s these lactide rings that open up and polymerise to form long chains of polylactic acid (PLA). The last manufacturing step forms PLA into pellets that are later used to extrude 3D printer filament. As shown below, it’s important to note that the entire process as implemented at Natureworks has a very low carbon emission when compared to other material creation processes. Now let’s look at the characteristics that NatureWorks has enhanced in its line of 3D850 PLA resin. The first thing to notice is that 3D850’s melt flow index is higher than that of standard PLA or ABS. In the material properties table shown below, we present typical values associated with ABS and PLA from a renowned Chinese manufacturer (ESUN) and compare them to 3D850’s properties. First, we see that the melt flow index of ABS and PLA filament from China is reported as 1.5 g/10 min and 7.8 g/10 min, as compared to 9 g/10 min for 3D850. A high melt flow index is often indicative of a lower coefficient of friction. This high melt flow index thus yields an advantage because extruder motors have to do less work to extrude the same length of filament (print faster). Also, a higher melt flow index leads to a cooler extruder operating temperatures and less wear on parts. Another advantage is a lowered probability of extruder gear slippage or stripping of the filament when back pressure occurs in the hot end. When looking at a broader range of 3D printer filaments, it’s typical to see that materials with high impact resistances have conversely low tensile strengths (or vice-versa). The chart shown below (my3dmatter) illustrates how different filaments compare when looking at their tensile strength and impact resistance. We can see that a trade-off between tensile strength and impact resistance is apparent, and it’s rare to see filaments that exhibit both properties at the same time. From this particular study, it was noticed that some manufacturers similar to NatureWorks have hybrid materials that fall outside the norm for most 3D printer filaments. Special filaments (such as Super Premium Series) exhibit both high tensile strength and high impact resistance. We’ve added Super Premium on the chart below to show how well it performs in both Tensile Strength and Impact Resistance (top right quadrant). Next, let’s take a closer look at 3D850’s flexural modulus (i.e. the materials tendency to bend under stress). 3D850’s value is 4357 MPa as compared to ABS at 1948 MPa and PLA at 2504 MPa. Also, the flexural modulus value for 3D850 is even higher than Taulman 3D’s In-PLA which comes in at 1971.9 MPa (285.99 psi) as shown below. So what does having a high flexural modulus mean for 3D printing? Printing structures that are long and thin will have less deflection or bend under pressure, thus eliminating the need for supports or thick rafts. 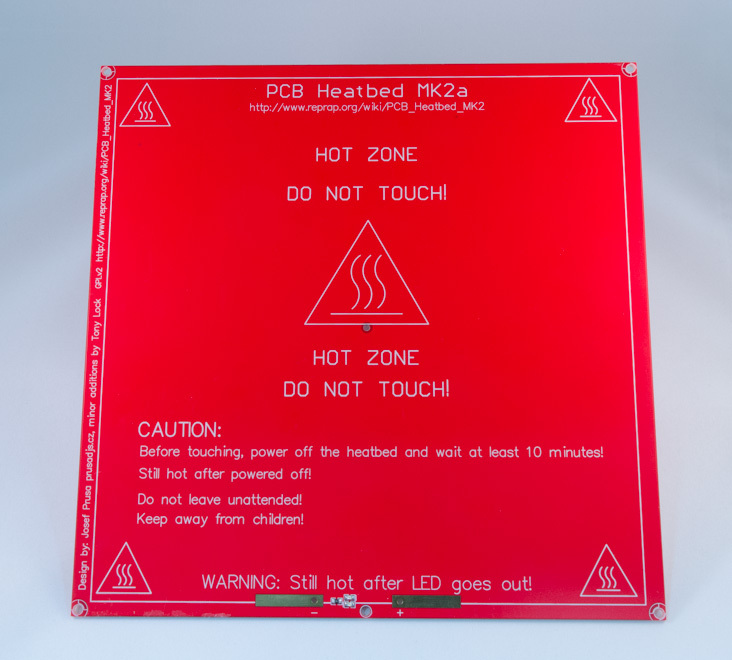 One of the biggest issues with PLA is its low heat deflection temperature or heat distortion temperature also known as HDT. HDT is the temperature at which a polymer or plastic will deform under pressure. Historically, when printing parts requiring high resistance to temperature, ABS was the best material. Nowadays, 3D850’s HDT is a whopping 144°C which means it will suffer minute deformation (if any) below that temperature. When compared to typical ABS and PLA having HDT values of 85°C and 50°C respectively, heat resistance is much improved. From a usage perspective, filaments made with 3D850 resin feature other enhancements such as excellent bonding with print surfaces, a feature that is significantly improving first layer quality and minimizing the risk of warping. Next, shrinkage of parts during and after printing is also non-existent and virtually no odor is present during extrusion. Because NatureWorks Ingeo 3D850 has taken on the best characteristics of various materials such as high heat resistance and high tensile strength, PLA will no longer have limitations in certain markets and industries. With improvements in materials technology and better processing techniques, Boots Industries delivers a Super Premium Series filament that surpasses most 3D printer filaments currently available. Ultimately, 3D850 shows that the trade-off between tensile strength for impact resistance can be avoided to yield high impact and high tensile strength PLA parts. Our Super Premium Series PLA filament are designed to offer tough and heat resistant parts analogous to ABS, but without any of the disadvantages. 3D printing filament is the ink used by your 3D printer and its importance cannot be underestimated when aiming for top-quality results. In this article, we’ll share some of our insights on the plastic filament used for 3D printing. We’ll help you better understand why our Super Premium Series filament is so effective and what to look for when buying plastic for your own printer. Our 3D printer manufacturing background gives us extensive experience with several 3D printing materials, but most of the examples in this article are based on PLA. That being said, our analysis is in most cases applicable to other types of plastics used for 3D printing and with which we have extensive experience (i.e. 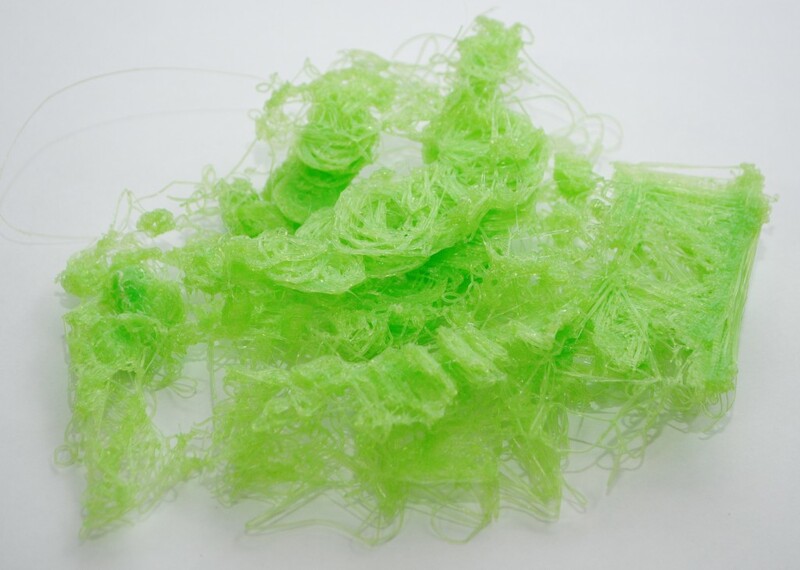 Nylon, PC, HIPS, PVA, PET, Conductive, Filled, Synthetic Rubber etc.). First of all, both PLA and ABS are great materials for 3D printing applications and you can make amazing things with both. To begin this article, we’ve compiled a list of important characteristics for both these plastics. Why are we specializing in PLA? 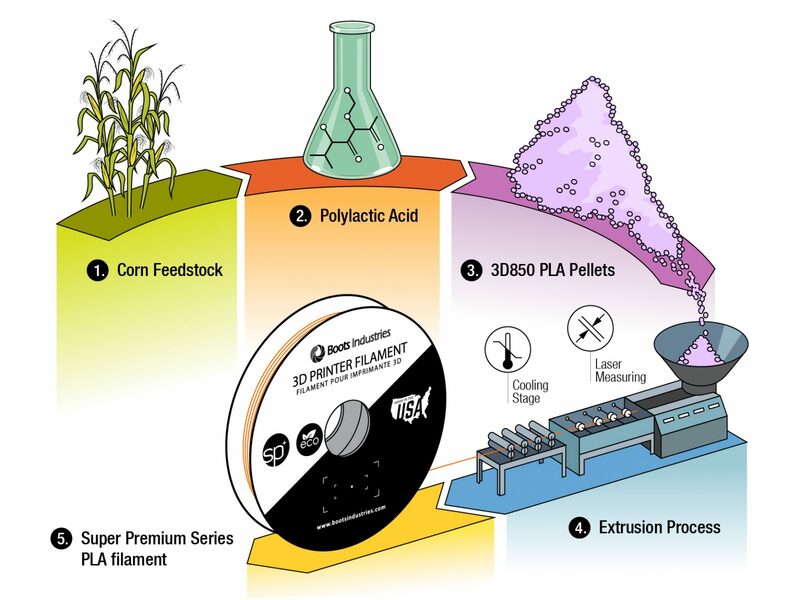 PLA (short for Polylactic acid) is a plastic made of renewable starches, such as corn and sugarcane. It is biodegradable and does not emit noticeable amounts of ultra-fines particles (UFCs). It produces a barely noticeable smell when extruding. Depending on the specifications and the color, extrusion temperatures can vary between 190 and 230 °C. Parts printed using PLA are more rigid than ABS parts. In general, parts printed using PLA have a slightly glossy finish. PLA is less prone to warping during the printing process and is much ‘stickier’ than ABS. Regular PLA starts to become malleable (heat deflection point) at around 60 °C. PLA is a modern material in the history of FDM 3D printers and has a promising future. ABS (short for acrylonitrile butadiene styrene) is a common thermoplastic that is essentially petroleum-based. ABS can be purchased at a slightly lower price than PLA, due to its petroleum-based origin and higher availability. It is a documented fact that ABS produces UFCs when printing. Good ventilation is recommended. It produces a ‘burnt plastic’ smell when extruding. Depending on the specifications and the color, the extrusion temperature can vary between 220 and 260 °C. Parts printed using ABS have a “bend” to them and are less brittle than PLA. In general, parts printed using ABS have a glossier finish than PLA parts. ABS starts to become malleable (heat deflection point) at around 100 °C (which still makes it less heat resistant than our Super Premium Series PLA formulation). ABS has a lower coefficient of friction than PLA and requires slightly less force to be extruded than PLA. ABS can be considered the “legacy” filament, as it was used for 3D printing before PLA. Fun fact: The world-renowned Lego blocks are made from injection-molded ABS plastic! Why is 1.75 mm better? As the filament is lighter per unit of length, the extruder motor displaces less mass. 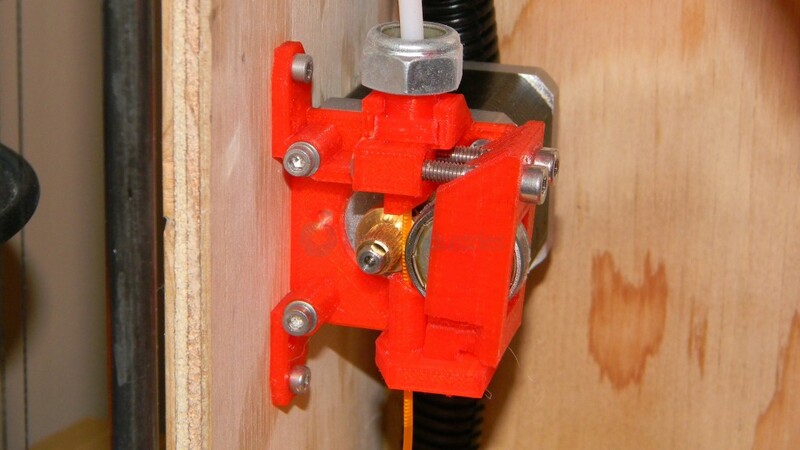 Displacing less mass allows designers to create more compact extruders. Filament with a smaller diameter can be heated faster (as it takes less time for the heat to reach the center), so you can print faster. 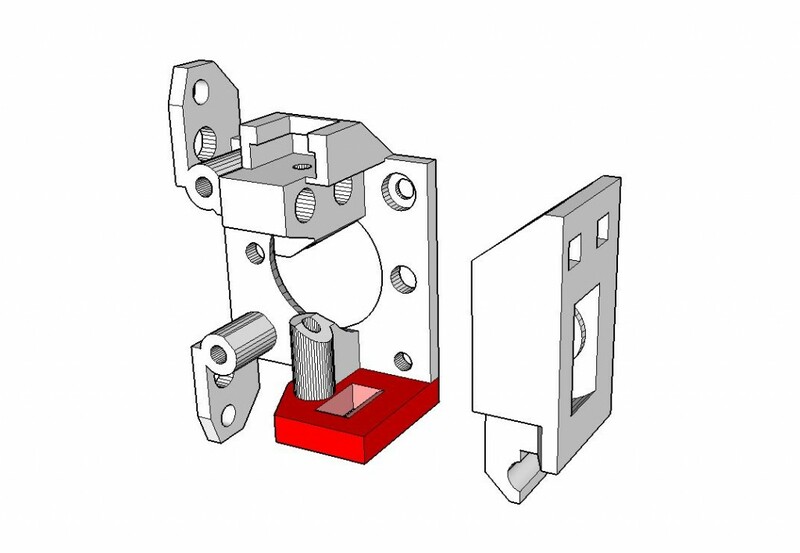 The faster heating characteristic allows for more compact hot end block designs. The smaller nozzles allow for a more precise plastic flow control and reduce the risk of oozing. Being smaller, the filament is also more flexible and can be coiled more tightly and turn sharper corners. Force required by the extruder to push the plastic in the extruder is lowered because less pressure builds up in the nozzle. Now that we’ve discussed the reasons behind our affinity for 1.75 mm PLA filament, let’s explain what to look for in a good 3D printing filament. Some considerations are more obvious than others, but some small details are easily overlooked unless you have a lot of experience 3D printing. This article discusses the most important factors so that you can make an informed decision when purchasing filament for your 3D printer. When printing using any type of FFF 3D printer, it’s important to understand that the software controlling the printer calculates the extrusion volume based on the filament diameter, the diameter of your extruder nozzle, and the extrusion speed (commonly referred to as flow rate – in mm/s). In essence, your 3D printer controls the volume of plastic that is pushed out of the nozzle by turning the extruder wheel and pushing a certain length of filament down the hot end. If you have a filament with an irregular diameter, the volume of extruded plastic varies and the software can’t and won’t adjust the extrusion length to compensate for this diameter variation. Instead, it will keep on printing, expecting a certain ‘theoretical’ amount of plastic to come out. This problem, caused by poor diameter tolerance, is what we refer to as ‘inconsistent extrusion’. Ideally, your filament should maintain an absolutely constant diameter across the entire spool. However, in real life, due to small imperfections in the manufacturing process, there is always a tolerance within which the diameter will be maintained. The tolerance of a filament describes the variation in diameter that is present in the filament you use. For example, at Boots Industries, our 1.75 mm filament features a diameter tolerance of ± 0.05 mm. This is an excellent tolerance that and is achieved by using four-axis laser gauges and other advanced manufacturing technologies. 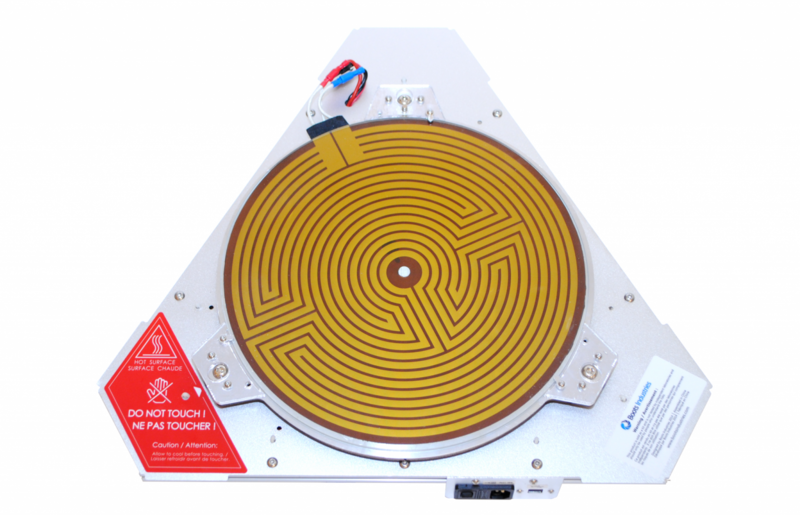 Serious issues can arise from an inconsistent filament diameter. A typical example is extruder failure, a condition where the extruder fails and no plastic makes it to the hot end. This can occur if your filament suddenly becomes too thin for the extruder tensioning mechanism, which leads to insufficient pressure gripping the filament. Another effect of a decrease in filament diameter is that back-flow could occur in the hot end (hindering plastic delivery to the head). The other extreme is when your filament’s diameter is suddenly too wide and the extruder motor is not strong enough to push it through or it does not fit into the hot end opening. Another effect of an increase in diameter is that the extruder gear could shred the surface of the plastic, leaving nothing to grip and stalling your extruder. In all cases, extruder problems of this nature can be mitigated by a tensioning mechanism that applies and maintains the tension dynamically on the filament, regardless of its diameter, by using a spring. 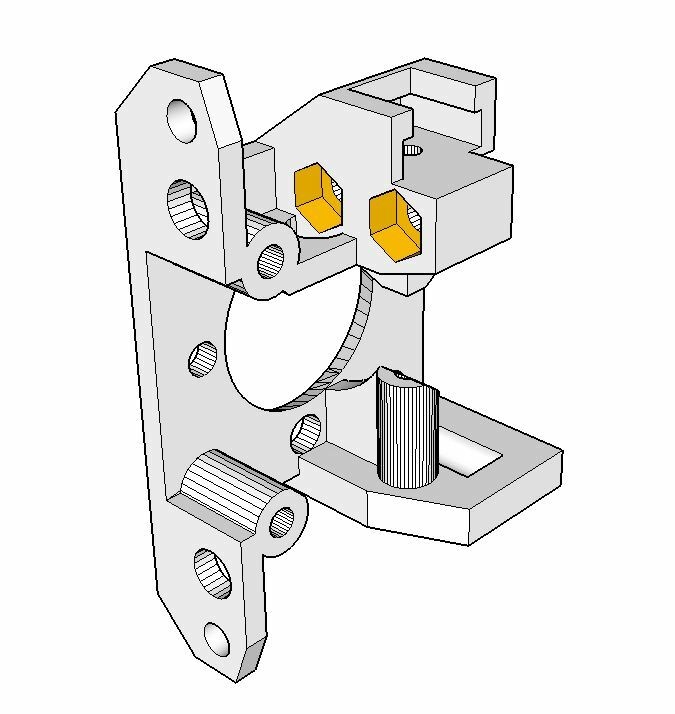 However, not all extruder tensioners have this feature and will not guard you against gross diameter deviations. Typically, when looking at filament tolerance, the gold standard across the industry is 0.05 mm. Working extensively with many extrusion lines and partners, we’ve found that it’s very hard to go lower than that and maintain consistency across the full length of a spool. When you purchase a new spool, you can use a micrometer to measure the diameter at several places and ensure that it meets the advertised tolerance. When making contact with the extruder wheel, the filament will always suffer some compression due to the extruder wheel gripping the plastic. This will, in fact, reduce the roundness of the filament, but is also consistent across the entire spool, so it will not really affect print quality. That being said, the consistency of filament roundness across the entire length of the spool is still important. This is because filament that suddenly loses its perfect round shape and becomes oval-shaped can lead to extruder failure in the same way that increasing or decreasing the filament diameter does. Spool form factor is a highly debated topic across the 3D printing world. Several standards currently exist and different parties consistently attempt to standardize spool dimensions. The key dimensions in any spool are the flange diameter, the mounting diameter, the inner coil diameter and the width of the spool. These dimensions can affect the mounting compatibility of your filament since certain 3D printer manufacturers attempt to lock consumers into purchasing only their filament by creating enclosed mounting systems that can only receive a single spool form factor (almost like a key hole). Others have gone so far as to include technological protection measures (TPMs), such as chips and bar codes, to further restrict your choices. If you are buying filament, it’s because you intend to use it all and chances are you’ll be looking for the best quality at a reasonable price. We’ve tried filament from many different suppliers and came across many different types of spools. We found that some spool designs actually compromise the usability of the material. When using spools where the inner coil diameter is relatively small (< 80 mm), we found that the tightly wound plastic becomes harder to unspool. The temperature of the plastic can affect this when it is spooled by the manufacturer; good manufacturers ensure that the plastic is cooled before winding it onto to the spool to minimize shape-memory deformation. Nonetheless, it’s important to remember that most extruder designs require the extruder to pull the filament off the spool. As such, when you reach the end of a tightly coiled spool where the plastic retained the shape of the coil, the filament becomes harder to unspool and the extruder gear can start to slip and/or strip your filament. This situation can usually be avoided by increasing the extruder tension, but with too much tension, the roundness of the filament can start to become compromised and the slightest variation may overpower the extruder’s power rating. To maintain a constant setup and minimize extruder strain, we recommend a spool with an inner coil diameter greater than 80 mm. Of course, you don’t want to have a spool with an inner coil diameter that is too large, as it is more expensive to ship and store. Each supplier has its own design policy aimed at optimizing cost and spool volume, but spool inner coil diameter is of utmost interest when considering plastic filament purchases for 3D printing. If you are going to purchase high-quality filament and properly calibrate your machine for a high-quality result, filament storage is as important. The problem with most plastics (regardless of quality) is that over time they absorb moisture, which creates small water bubbles in the filament itself. These small bubbles, when heated at the tip of your extruder, reach the boiling point and explode violently. This dramatically reduces the quality of your prints, as the plastic is spewed out randomly, instead of being carefully laid down. At Boots Industries, we recommend two simple strategies to store your 3D printing filament and avoid the accumulation of moisture. You can store individual filament spools in a sealed Ziploc bag with a small silica gel desiccant pouch (all our spools ship vacuum-sealed with a desiccant pouch and we include a Ziploc bag). For bulk storage, one technique is to use plastic bins and a bucket of uncooked rice as a natural desiccant. This is very effective for keeping the filament bone dry and is also quite accessible and inexpensive. Filament is susceptible to the environment and should always be shipped in sealed packaging with desiccant. Great manufacturers go to extreme lengths to produce filament in a highly controlled environment and won’t spare any expense to preserve its integrity during shipping. We offer best-in-class vacuum-sealed protection for all spools we ship, including a humidity indicator to ensure that the product arrives in perfect condition. PLA filament is manufactured from PLA pellets, which come from various producers and have many applications outside of 3D printing. NatureWorks is the foremost producer of PLA in the world, but many other companies in the Netherlands and in China also manufacture it. When purchasing PLA filament for 3D printing, it’s very important to buy from a supplier with extensive 3D-printing experience. The main reason is that many PLA filaments are extruded from PLA pellets that are not designed for 3D printing. A lot of PLAs is manufactured specifically to create food packaging, cups and other items that are not manufactured through an extrusion process (i.e. injection molding, film and sheet casting, spinning etc.). 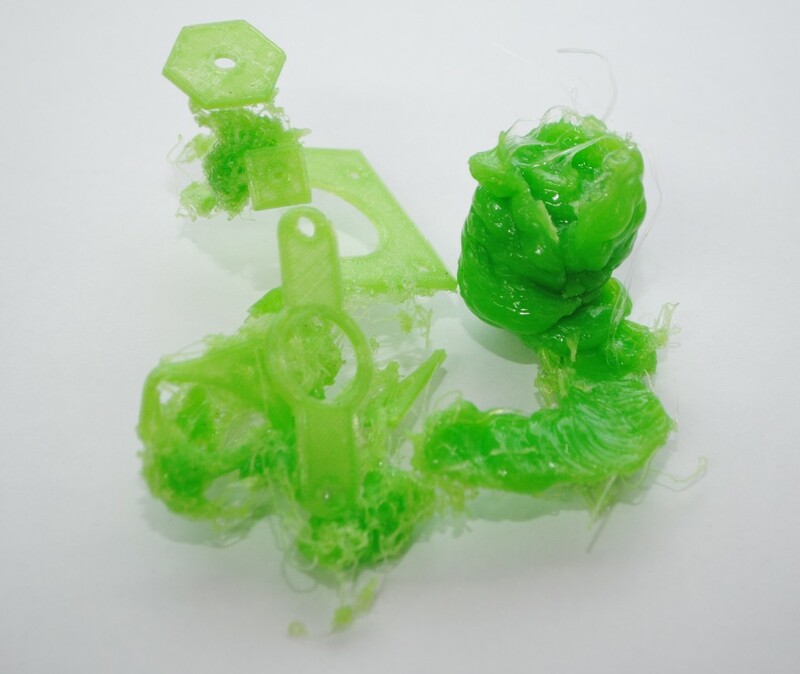 These PLA blends are not designed to be reheated and extruded for a third time (i.e. 3D printed). These generic PLA variants often work for 3D printing, but are far from optimal for this application. 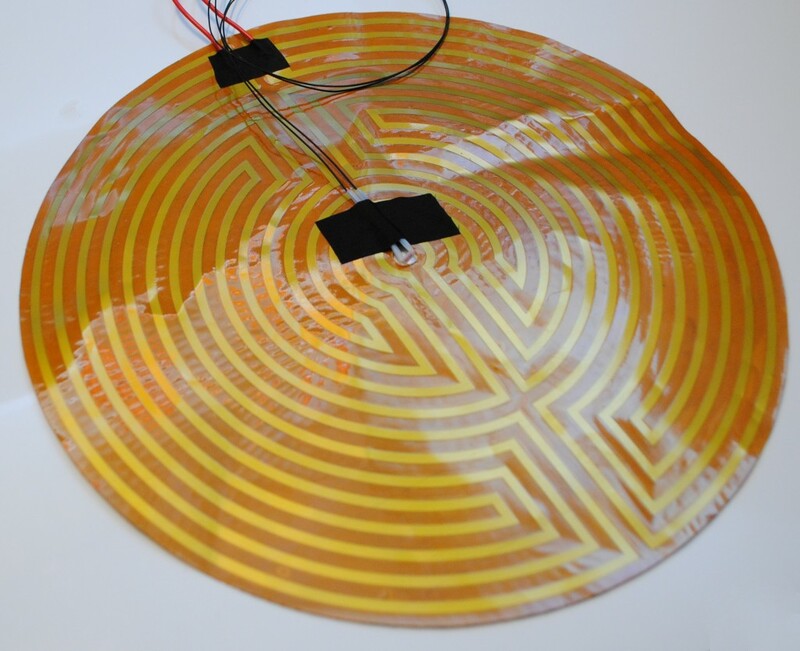 The resulting materials are hard to extrude, warp, have low adhesion and have low heat deflection points. At Boots Industries, we use the very best PLA formulation, Ingeo 3D850, which is specifically designed for 3D printers and produced by NatureWorks in the United States. All our filament blends use 100% new PLA pellets (no recycled materials) that have only undergone one melting cycle (when extruding it into 1.75 mm filament). Most competitors use lower quality blends, such as 4043D, 2003D and perhaps even cheaper alternatives. This is a very important factor in 3D printer filament, which is why we only sell products that are 100% made in North America with top-quality materials. We strongly advise against filaments made in China, which are increasingly flooding the market. Super Premium Series PLA has a heat deflection point of 144 °C! Post-annealing in the range of 80-130°C can be used to promote crystallization and improve the heat deflection temperature of the 3D printed part. Only buy filament where a tolerance is advertised (0.05 mm and lower seems to be the gold standard). Only buy filament that features excellent roundness (usually this comes with excellent tolerance as well). 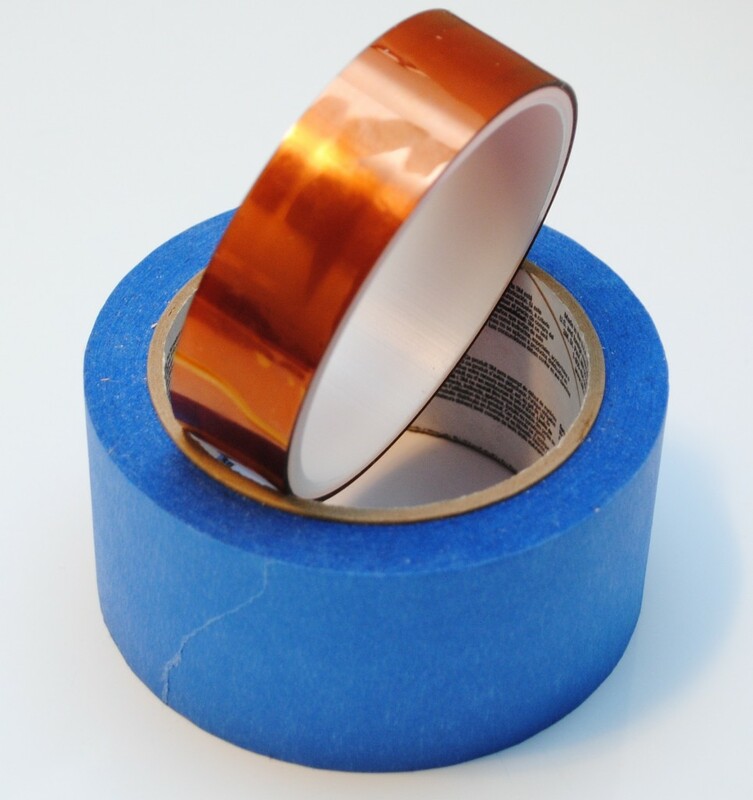 If the spool used has a very small inner coil diameter, beware of material usability issues. We recommend spools with an inner coil greater than 80 mm. Only buy filament that is properly packaged to protect its properties. Make sure that the person selling the filament has experience with 3D printing. Some people are only re-sellers and don’t fully understand or test their product. Take the time to ask the sellers questions and do not settle for vague or incomplete answers. Just a few years ago, 3D printing objects seemed to be a sci-fi fantasy reserved only for high end prototyping labs. Nowadays, printing everyday objects in the home is a reality that is bringing ever more performance and affordability to the consumer. Since the 90’s, the 3D printing concept started evolving and picking up speed to finally reach a stage where the public began to be introduced to these machines. With the participation of RepRap and DIY communities, the development of 3D printers for the home quickly evolved to the point where the market is presenting a very large selection of machines to the prospective buyer. When we think about 3D printing, the first images that come to mind are the almost instantaneous creation of objects with ease. 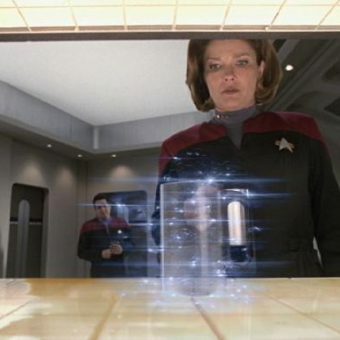 However, the technology isn’t quite yet like the Star Trek replicator where light is transformed into delicious meals and other useful objects. Our goal is to help you distinguish science fiction from reality and make an informed decision. What do you really know about 3D printing? Are you thinking about purchasing a first 3D printer for the home? Follow our buying guide and learn how to avoid traps and where to look to be entirely satisfied with your purchase! To 3D print from the comfort of your home you need a machine, but which one is right for you? Build volume is one of the most important consideration when purchasing a 3D printer. It’s also generally directly tied to the pricing of the 3D printer (larger being more expensive). Think about the size of the parts you plan to print and that most 3D printed models are often made of several smaller parts assembled you print them. You may not require the largest build volume out there! BI Recommends: At least 150 mm X 150 mm X 150 mm of build volume. We feel that anything lower would severely restrict the potential of your 3D printer. Resolution typically refers to the Z minimal layer thickness and X-Y resolution that can be achieved by the 3D printer. Since motion systems have been around for a very long time, the X-Y resolution is usually quite good for any 3D printer. Since all FDM/FFF 3D printers create parts with a layering effect, the finish quality of printed parts is directly affected by layer thickness resolution. The thinner the layers are on a given part the smoother the part finish will look, but it will also take longer to print. 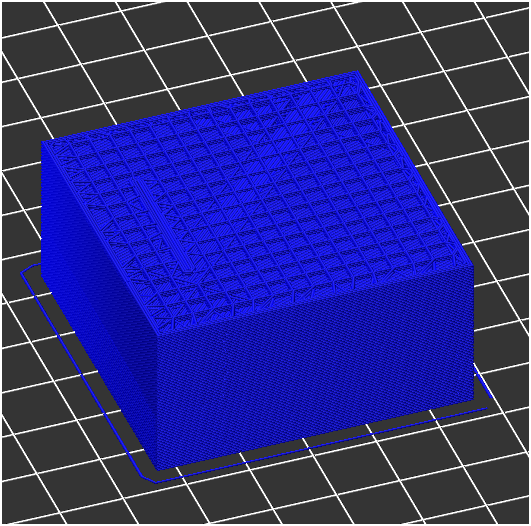 Some 3D printers often report minimum layer thickness as low as 50 micron (0.05 mm). 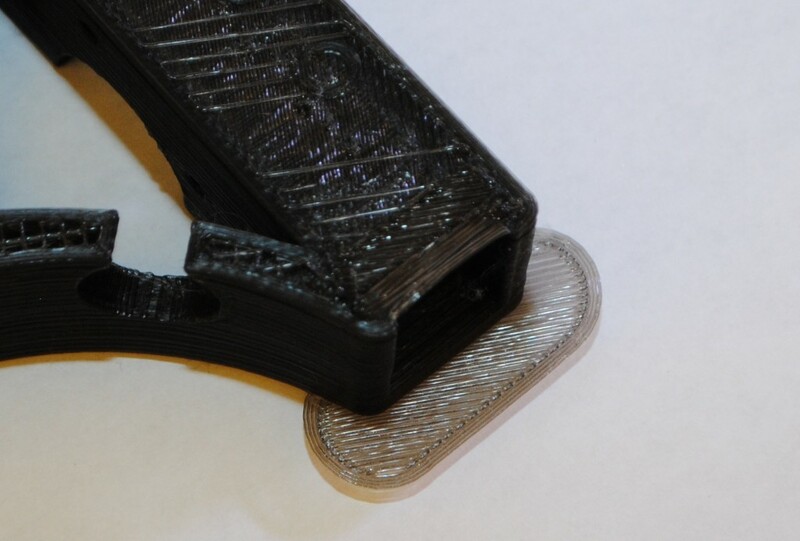 However, printing parts with thin layers requires careful software calibration since the margin for error is reduced. Most users will prefer to print parts with layer thickness of 0.10 mm to 0.30 mm to reduce print time while still retaining an acceptable finish quality. BI Recommends: 3D printers with 50-100 micron minimum layer thickness. 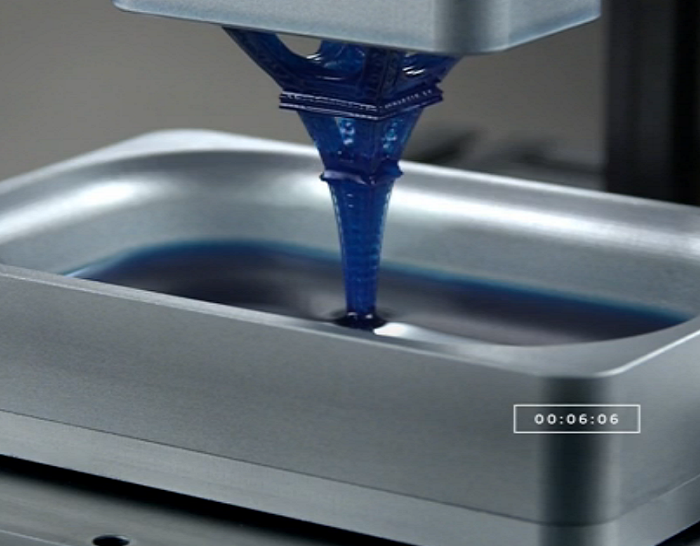 Print speed represents the speed at which the 3D printer creates parts. This parameter is usually reported in mm/second or mm/minute and usually refers to the fastest speed that can be achieved when the print head is dispensing plastic. Another speed metric representing movement speed (when print head is not dispensing) is usually offered. It’s important to understand that during a 3D print the average print speed will actually be lower than the maximum reported print speed. It is so because the print head has to slow down when changing direction or printing finer details. As a rule of thumb it’s best to use ¾ of the maximal print speed to obtain a more realistic estimation of the print speed (i.e. reported 100 mm/s would yield a true print speed closer to 75 mm/s). 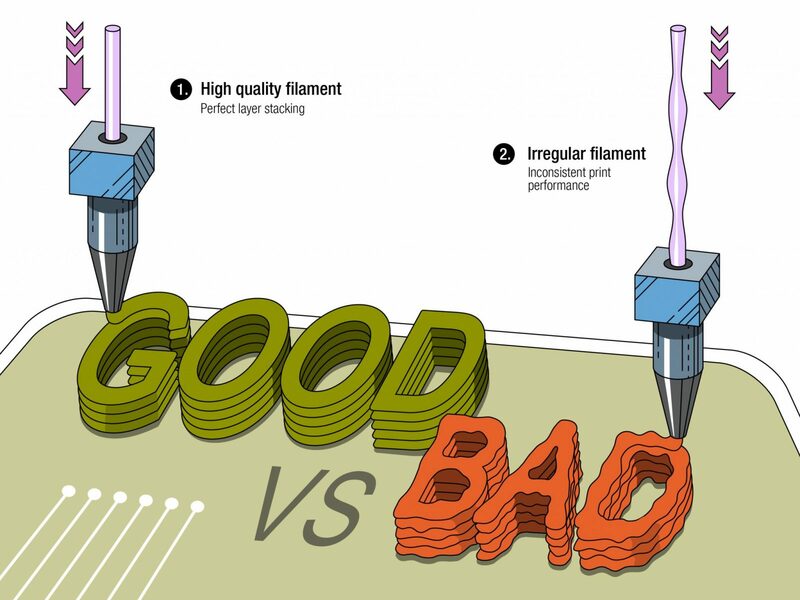 BI Recommends: 3D printers with print speeds of at least 75 mm/second for a feel good experience when printing parts. Material compatibility is an important factor to consider, because some 3D printers are only tailored for specific materials. More recently, several 3D printer manufacturers chose to only support PLA in order to simplify the print process and their business model. 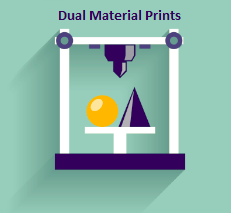 If you have an interest in printing various materials, make sure that the 3D printer you select supports these materials. A parameter to look for is the maximal extrusion temperature or, in other words, how warm the hotend can be heated. Some specialized filament such as flexible filament require specifically designed extruders for best results. If you plan to use the 3D printer for small projects and fun, a PLA only unit is likely to satisfy your needs. For more professional uses, look for a multi-material capable unit. BI Recommends: 3D printer with a hotend capable of printing up to 250 °C to allow for bot PLA and ABS prints. Multiple material capabilities allow you to print with multiple colors and materials simultaneously, or to easily switch between various filament options. These options are available on many 3D printers, but typically require a deeper understanding of the printing process to be successfully carried out. Some 3D printers offer robust software that greatly simplify multi-material printing. This will be an area of added value to look for when looking for the right 3D printer. 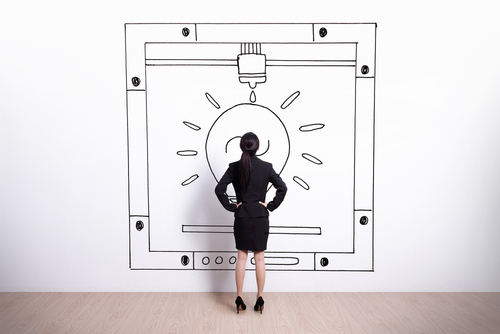 BI Recommends: Consider your specific needs and ask questions to the manufacturer before purchasing the 3D printer. Control and Connectivity refers to the software packages included with the 3D printer to control it. Most of the time the 3D printer is controlled via a desktop control software such as Repetier Host and MatterControl. Increasingly, control can be done remotely by means of print servers, mobile apps and Wi-Fi or Bluetooth enabled machines. Most 3D printers will require a physical USB connection from a computer hosting the control and slicing software. A lot of 3D printer also offer control via SD card where the G-code is preloaded and run directly on the 3D printer control board. 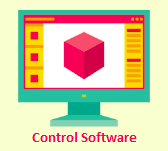 We favor this control method, because it prevents any problem with the control computer (i.e. going into sleep, crash, anti-virus slowing things down, etc). 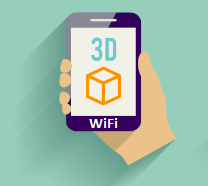 One last thing to consider is that simple software/hardware kits such as PrintToPeer can be used to enable Wi-Fi control of any 3D printer through your smartphone, tablet or even outside of the house using any browser. The ability to start, monitor and receive 3D print notifications wirelessly is tremendous so we recommend the latter to everyone. BI Recommends: Get a 3D printer with a well-established control software and if it does not include the wireless control option make sure to get PrinToPeer. To launch a 3D print, you typically require an STL file which describes a 3D object with a multidimensional array of triangulated surfaces. The STL is the file that will be “sliced”, a term coined to describe the process by which the G-code (machine instructions) are prepared from a 3D model to be printed. You can find a multitude of STL files online on websites such as Thingiverse and YouMagine. With the growing number of 3D printer adopters it’s now easier than ever to find free models to populate your “to print” list or inspire your designs. 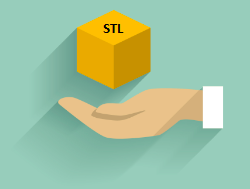 Besides finding ready to go STL files, you can always design your own 3D models and export them in STL. This method is slightly more complex as you will require CAD knowledge to successfully create your model. There exist several free tools to help you design 3D files. Some of the most popular ones are Sketchup and Tinkercad. 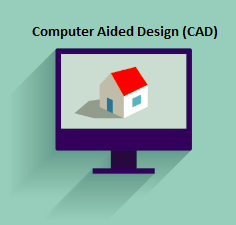 More professional users will use paid commercial CAD software ranging from a few hundred dollars to a few thousands (i.e. Solidworks). 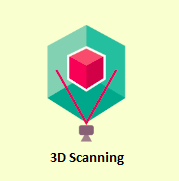 Finally, you can also obtain an STL file by scanning an object using a 3D scanner. This technique has been increasingly featured by several 3D printing companies, but some limitations are still present (especially in low end systems). Most 3D scanning systems will feature a turn table, a light source (laser), a camera and the associated software and tools to derive potent STL files from the scans. Some 3D printer designers are also including these scanners into their machines to enable “scanning/printing” dynamics. Once you have the STL file representing the desired object, you will need to “slice” it using a software tailored to the parameters of your specific 3D printer, the “slicer”. This is the last step before sending your file to the 3D printer. This is where your STL file is analyzed and converted to X, Y and Z motions along with extruder commands. 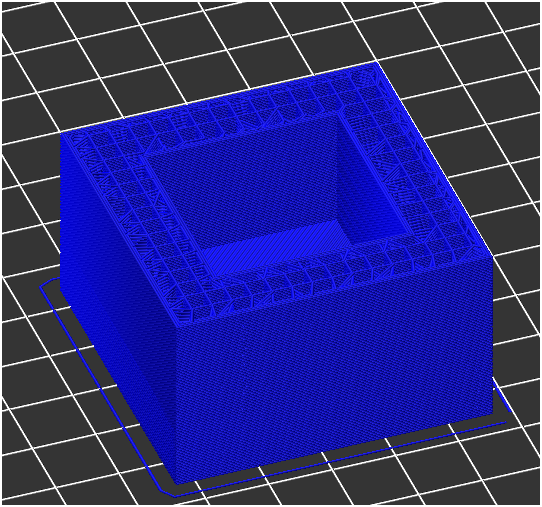 The slicing software will take into consideration the geometry of your 3D printer (i.e. Cartesian vs Delta vs Polar, etc. ), the speed limitations, the material cooling time and many other factors to generate a very long file of machine instructions that your 3D printer will execute until the part is complete. A large majority of 3D printers on the market operate on the open-loop concept where no positional feedback is provided to the motion controller. The G-code is thus analogous to a “record” being played by the “record player – motion controller”, the “music” being the part information. If a perturbation is introduced, most printers will not recover and continue playing the “music – G-code” until it is finished. Most 3D printers on the market will come with a software dedicated for slicing. The latter is configured to take into account the particularities of the hardware to optimize the output quality. Several software companies specialize in the slicing process and there is an active online community discussing the merits, optimal configurations of each options. Some of the most popular slicing engines that are not proprietary include Slic3r and Cura. The slicing engine is usually included within the 3D printer control software and allows the user to control slicing options seamlessly behind a graphical user interface. Once your G-code is ready you need to make sure that your 3D printer is calibrated, ready and loaded with the appropriate 3D printer filament (PLA, ABS, or specialized filaments). Choose the color you want! In most cases 3D printers utilize 1Kg rolls of filament that are available in various colors and material types. Let’s a make a quick analogy – When talking about 2D printers, the capacity of an ink cartridge is typically reported in number of pages. For the 3D printer, you’ll need to think about it in terms of weight of the object to be printed. Most control software feature G-code analyzing algorithms that can help you estimate the weight of an object before printing it. The quantity of plastic required per part also depends on the desired “infill” of the part (how much plastic will fill the hidden voids of the part. Typical parts will have between 10 and 20% of infill plastic, but parts where added rigidity and strength are required may go much higher. The best technique is to print a copy of the desired part, weight it and divide the weight of filament on your roll by it. 3D printing for the home is something that a lot of people are considering, but with an ever increasing selection surrounded by deceiving marketing it can be hard to know what to look for. 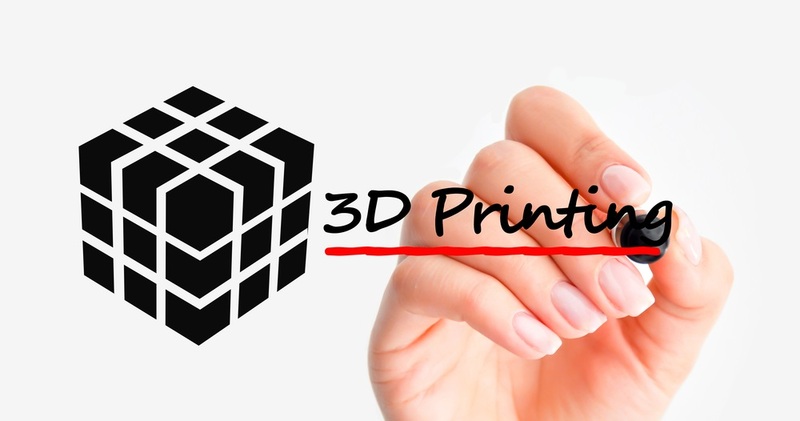 Our intent is to provide you with the relevant information so that you can be better equipped when you decide to purchase your first 3D printer. As such, this 3D printer buying guide was designed to provide a quick read of the most relevant points to consider when thinking about purchasing your first 3D printer. Please contact us if you find any discrepancies or if you would like to see more information added to this article. The Carbon3D startup recently presented a prototype exploiting a new approach using resin, light, and oxygen to accelerate conventional DLP/SLA 3D printing at a TED conference in Vancouver. 3D printing advances and lower pricing now allows us to dream about ideas and quickly create parts in the comfort of our homes. Despite its usefulness, 3D printing technology still has many sticking points for the professional user and is unsuited for large scale manufacturing. Shortfalls such as long print times and layering effects – to name only two – are holding the technology back. But things are moving forward with the latest announcement from Carbon3D. Carbon3D, a Redwood City, Calif.-based company recently unveiled their prototype 3D printer using an innovation capable of producing parts 25 to 100 times faster than current DLP/SLA processes. They innovate in this field by introducing an oxygen permeable window (oxygen can go through) at the base of the resin vessel. This permeable glass allows for the creation of a thin layer of oxygen – dead zone – between the resin and the glass surface. Since oxygen inhibits the polymerization of the resin, it means that parts no longer stick to the bottom of the vessel, thus allowing the creation of objects in continuous mode. This new technique named CLIP (Continuous Liquid Interface Production) has the potential to bridge the gap between 3D printing and injection molding manufacturing. 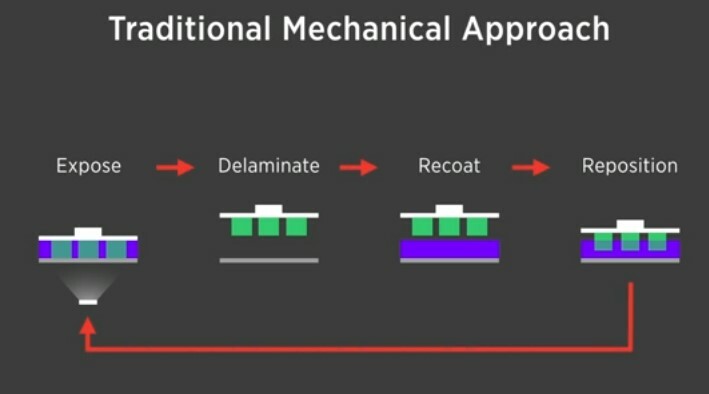 As explained in their prototype presentation the so-called “Traditional Mechanical Approach” of DLP/SLA has four steps which have now been replaced by a single continuous exposition step. 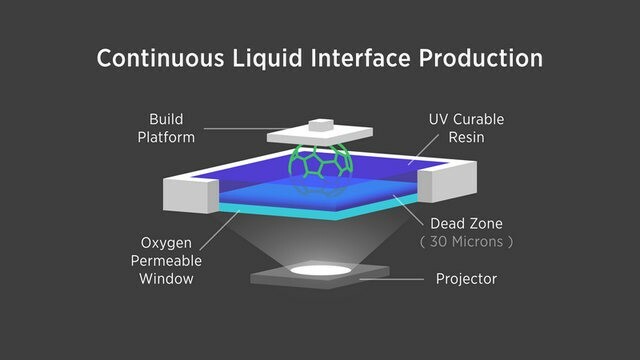 This is how the company plans to develop machines that would not only print faster but as Dr. Joseph Desimone (Carbon3D CEO and Co-Founder) points out, create parts that are “molecularly smooth” akin to injection molded parts. Carbon3D uses and develops sophisticated software to control the oxygen content and the thickness of the dead zone based on the print speed (photon flux) and the resin material used. Insert videoFor those interested in reviewing the process with greater scientific rigor, the technique has recently been featured in the latest edition of Science (accessible in full with free registration). The article discusses the dead zone thickness parameters and test results in greater details. In addition and as expected, the article highlights that a trade-off still exists between print speeds and parts resolutions. In a video, Carbon3D shows how the popular 3D printable model of an Eiffel tower emerges from the resin vessel in less than 7 minutes. Some have criticized the new technique as “not revolutionary” and “more of the same”, but with more than $41 million raised in venture capital from both Sequoia Capital and Silver Lake Kraftwerk the company is well on its way to perfect CLIP and introduce high-speed additive manufacturing technologies that could disrupt fulfill the true promise of 3D printing. Material extrusion’s technology referred to as Fused Deposition Modeling (FDM) but also dubbed Fused Filament Fabrication (FFF) for legal reasons has been a popular choice for the DIY/hobbyist community and was invented in the late 80s by Scott Crump. The FDM/FFF process starts with software to determine how the filament extruder(s) will draw out each layer to build up the model, preparing it for the building process. Printers with two or more print heads can print out multiple colors and/or use scaffolding materials to support the overhanging parts of complex prints. In either case, FDM printers use only one print head at a time, switching between them for multi-material prints. The actual printing process works by using a motor to feed the filament through a heating element. The filament emerges molten and quickly hardens to bond with the layer below it. The print head and/or the build platform moves in the X-Y (horizontal) plane before moving in the Z-axis (vertically) once each layer is complete. In this way, the object is built one layer at a time from the bottom upwards. Keep in mind that, while FDM is a very flexible printing process, it can have trouble printing sharp angles and overhangs. 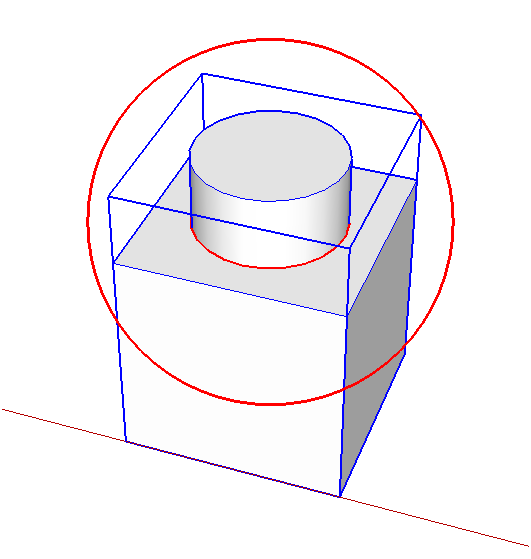 Choosing an efficient orientation for the model on the printing bed can make a big difference. If the object was printed using support material or rafts, after the printing process is complete, they are snapped off or dissolved in solvent leaving behind the finished object. Post-processing steps can greatly improve the surface. Acetone baths can be used leave the part with a glossy shine, similar to cast molding. FDM/FFF printers can be categorized into 3 designs; Cartesian, Delta and polar. Cartesian style move the build platform in the X and Y coordinate and Z is accomplished by raising the Z carriage. Deltas, such as in the Boots Industries BI V2.5 have a stationary build platform but instead use 3 towers rotated 120 degrees from each other and lifts and lowers each towers attached carriage to achieve movement about the X, Y and Z coordinates. The last is a polar design is which the build platform moves in the Z axis while the extruder moves about the polar coordinate system r and φ. Material selection is growing weekly but typical forms include Acrylonitrile butadiene styrene (ABS) and Polylactic acid (PLA). Light Photopolymerization can be divided into 2 technologies, Stereolithography (SLA/SL) and Digital Light Processing (DLP). SLA/SL works by using a laser to draw each layer of a model into a UV curable resin (photopolymer). Exposure to the UV light causes the liquid resin to solidify and attach to the layer below. SLA can have slower build speeds compared with Digital Light Processing (DLP) because each layer must be drawn out by the laser beam as opposed to DLP’s process with which a single layer is created by projecting an entire image. Depending on machine manufacturer, designs can vary drastically. Machines like the Form1 by Formlabs, directs the laser with a galvanometer while machines such as Old World Laboratories Nano keep the laser perpendicular to the print surface similar to FDM/FFF printers hotend. Varying designs are also adopted concerning the build plate and the printed objects can be lifted or submerged from the vat. For Digital Light Processing (DLP) a digital micromirror device (DMD) is the core component. The DMD projects a light pattern of each cross-sectional slice of the object through an imaging lens and onto the photopolymer resin. The projected light causes the resin to harden and form the corresponding layer which fuses it to the adjacent layer of the model. Compared with SLA/SL, DLP can have relatively faster build speeds. This is because a single layer is created in one digital image, as opposed to SLA’s laser process which must scan the vat with a single point. The B9Creator was one of the first projector based printers to hit to market. Just like FDM/FFF objects with steep angles and overhangs will require support structures. Now unlike FDM/FFF, finished prints tend to not have distinct visible layers. Post-processing typically entails washing away excess resin and cutting or sanding supports. Support removal is usually carried out after the model has had time to fully cure. Curing time can be shortened by setting the object under a UV lamp. Current materials are limited and pricey but mimic ABS, polypropylene, and wax. When comparing FDM/FFF printers with photopolymerization printers, photopolymerization gives higher resolution prints but at a cost significantly higher than FDM/FFF. Photopolymerization is also limited to single color printing. Material Jetting machines have close resemblances to traditional paper printers. In Material Jetting a photopolymer material is funneled into a liquid stream which is jetted out of the printhead onto the build tray. A UV light surrounding the printhead cures each successive layer immediately. With material being jetted on demand, multi-material prints are possible. The advantages of multi-material prints are multi-color prints and also prints with superior mechanical properties when creating “plastic alloys”. As in the other technologies listed above, support material is required. Machines that fall into this category are very high resolution down to about 20 microns but priced significantly higher than the any of the above technologies. Binder Jetting also called Drop-on-powder or Inkjet Powder Printing was developed in 1993 at the Massachusetts Institute of Technology (MIT). It works by using an automated piston fed roller to spread a layer of densely backed powder onto the build platform. 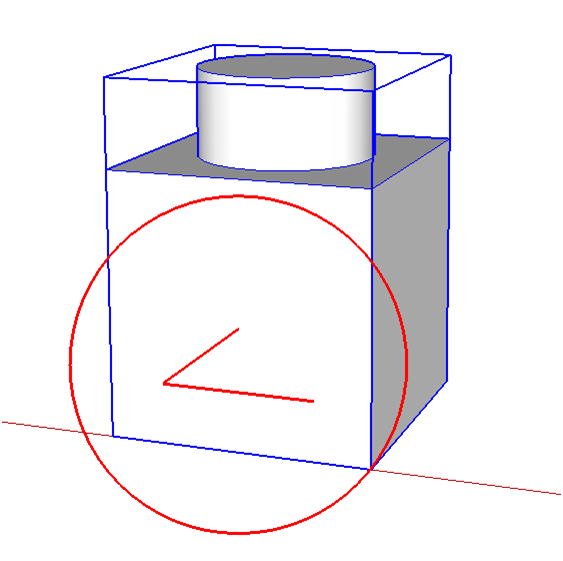 A printhead then applies a binder to form a cross section of the object. The process is repeated until the object is complete. Unlike the previous technologies, binder jetting can have full color prints. Full color printing is accomplished using a process similar to paper inkjet printing. Once the binder is laid down, the inkjet print-head follows and deposits color where required. Support structures are rarely needed as each slice is supported by the previous layer(s) of powder. Post-processing work is required which entails blowing excess powder with pressurized air. The leftover material blown from the object during post-processing is reusable. Materials can range in properties from smooth to porous to rigid or elastic. The major disadvantage to this process is poor mechanical properties but can be overcome by infusing the object with additional materials. With the ability to print large full color objects, binder jetting is favored by the architecture, engineering and construction (AEC) industry. Powder Bed Fusion can be subdivided into Direct Metal Laser Sintering (DMLS), Electron Beam Melting (EBM), Selective Heat Sintering (SHS), Selective Laser Melting (SLM) and Selective Laser Sintering (SLS). Direct Metal Laser Sintering (DMLS) was developed by EOS, a German-based company in the 90’s. DMLS and SLS are often used interchangeably but a distinction is made by the fact that DMLS refers specifically to metal sintering and is not used with plastics. The process starts with an automated roller spreading a thin metal layer of powder onto a bed encapsulated in a chamber of inert gas (argon or nitrogen). Gas is used in mitigating the effects of oxidation as sintering occurs. The powder bed must be held at an optimal temperature for sintering to occur. A laser starts to move across the powder, sintering a cross section of the object. This process is then repeated. Like with Binder Jetting, support material is rarely required as the un-sintered powder beneath the active layer acts as support. The left over material can be recycled for future use. 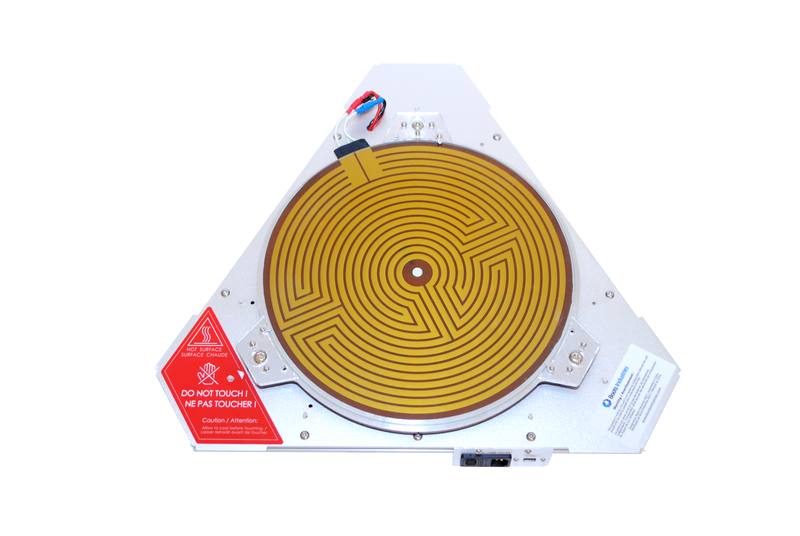 Since DMLS takes place at such high temperatures the parts produced are almost free from distortion and residual stress at the micro level, but are subject to thermal stress or warping as cooling occurs. Resolutions can get as little as 20 microns. Electron Beam Melting (EBM) was developed by Arcam, a Sweden-based company in 1997. EBM starts with a bed of metal powder enclosed in a vacuum chamber in order to reduce the damaging effects of oxidation as melting takes place. An automated roller then spreads a thin layer of metal powder across a bed that is kept at optimal temperature for melting to occur. An electromagnetically controlled electron beam then starts to move across the powder melting a cross section of the object. When the layer is finished the bed drops down and the process is repeated. When printing is completed, the model and excess material is left to cool. All leftover material can be recycled. Finished objects produced will have the same properties as objects created using DMLS. Selective Heat Sintering (SHS) is manufactured exclusively by Blueprinter, a Denmark-based company. The process starts by an automated roller spreading a thin layer of powder across an encapsulated temperature optimized bed. A printhead then moves across the bed applying heat to bring the powder to just below its melting point causing solidification to occur. The bed is lowered and followed by a piston spreading a new layer of powder which is followed by another pass of the thermal printhead. The process is repeated until object is printed. As with other powder bed printers, the excess material cradles the object in the printing process eliminating the need for supports. After printing is completed very little post-processing is required except removing excess powder. The excess powder is reusable in future prints. SHS’s downfall is its small build volume and limited material selection. Selective Laser Melting (SLM) was developed in 1995 when Fraunhofer Institute for Laser Technology researchers Dr. Dieter Schwarze and Dr. Matthias Fockele teamed up with F&S Stereolithographietechnik GmbH researchers Dr. Wilhelm Meiners and Dr. Konrad Wissenbach. SLM is a metal additive manufacturing technique similar toSelective Laser Sintering (SLS). The main difference being that SLS sinters the material (heating to just below melting point), while SLM melts the material, creating a melt pool in which material is consolidated before cooling to form a solid structure. The process takes place on a bed of powder enclosed in a chamber of inert gas (argon or nitrogen) in order to reduce the effects of oxidation. The powder bed is held at an optimized temperature for melting. During printing, a thin layer of powder is spread across the build chamber by an automated roller. The laser starts to move across the powder and melts a cross section of the object. A new layer of powder is then spread over the top of the previous layer and the laser then begins to form the next layer. In rare occasions is support structures required as the excess powder cradles the object in the printing process. Once the process is complete the object is left to cool and the leftover material is recovered and recycled for future use. Objects created using SLM are ideal for applications where high strength or high temperatures are required as it results in extremely dense and strong parts. The high temperature required in SLM can cause residual stresses formed from the high thermal gradients within the material. Selective Laser Sintering (SLS) was developed in the mid-1980s by Dr. Carl Deckard and Dr. Joe Beaman at the University of Texas at Austin. SLS starts with a controlled chamber encapsulating a heated bed of powder (just below melting point) producing ideal conditions for sintering. A thin layer of powder is spread across the bed by an automated roller. A laser starts to move across the chamber and sinters a cross section of the object. Since finished part density depends on laser power, rather than laser duration, typical SLS machines use pulsed lasers. The bed drops and another layer of powder is added followed by a pass of the laser. The process is repeated forming completed object. Once complete the object and unsintered material is left to cool followed by material recovery and recycling. As with all powder bed technologies the unsintered powder cradles the object during printing eliminating the need for supports. Materials range from polymers to metals and depending on materials, finished products can resemble that of object produced in conventional manufacturing. Direct Energy Deposition can be broken down into Electron Beam Direct Manufacturing (EBDM)/Electron Beam Freeform Fabrication (EBF3) and Laser Powder Forming (LPF). Electron Beam Direct Manufacturing (EBDM)/Electron Beam Freeform Fabrication (EBF3) are basically the same process, but developed by different people. With the EBDM/EBF3 process, a computer controlled electron beam gun provides the energy source used for melting metallic material, typically in wire form. The highly efficient electron beam can be both precisely focused and deflected using electromagnetic coils. The deposition mechanism deposits the material just where it is needed, solidifying immediately to form a layer of the object. The sequence is repeated to produce a near-net-shape part needing only finish machining. A contamination-free work zone is produced since the process is conducted within a high vacuum environment, which does not require the use of additional inert gasses that are commonly used with laser and arc based processes. EBDM/EBF3 currently has one of the largest build capacities of any 3D printing process. Laser Powder Forming (LPF) nicknamed Direct Metal Deposition (DMD) is an additive manufacturing technology used to repair and rebuild worn or damaged components, to manufacture new components, and to apply wear and corrosion resistant coatings. A high power laser is used as an energy source to melt a highly focused metallic powder stream onto the melt pool via a powder feeding system which is all performed in a sealed chamber to reduce oxidation. The laser head is controlled by a multi axis joint and the object is built upon a rotary build platform, allowing a variety of angles to produce complex geometries. Depending on the machine used, objects can be near net shape requiring minimal post-processing. A negative aspect of LPF is that the machinery is big and expensive, but also that it requires large amounts of power. This process can use a wide variety of materials such as nickel, iron, cobalt and titanium based alloys, as well as refractory metals and cermets (ceramic-metal composites). Objects produced can have as good or better mechanical properties than cast or wrought objects. The last type is Sheet Lamination which is categorized into Laminated Object Manufacturing (LOM) and UltraSonic Additive Manufacturing (UAM). Laminated Object Manufacturing (LOM) was developed and patented in 1996 by Helisys Inc (now Cubic Technologies) a California based company. LOM works by laying a sheet of material down followed by a glue mechanism that deposits varying amount of glue depending if the area is part of the object or outside it’s bound. A hot compression plate follows ensuring tight bonding between layers. The next step depends on the printers’ ability to print with full color, but a print head similar to that on a standard ink-jet printer would print the required colored outline before the sheet is laid down for bonding. After bonding and coloring is complete a knife or laser follows, tracing the 2d outline of the model’s cross section. The build plate lowers and the process is started over. Post-processing entails peeling or removing excess material. LOM is slightly less accurate then SLA and SLS but considerably less expensive. While not as prevalent as other methods of additive manufacturing, LOM is starting to get traction thanks to the Architectural sector. The most common materials are plastic and paper sheets. UltraSonic Additive Manufacturing (UAM) also known as Ultrasonic Consolidation (UC) was developed and patented by Dawn White. UAM is similar in process as LOM; In the fact it’s a hybrid process that combines additive and subtractive manufacturing. Thin strips of metal are laid down side to side followed by a welding process that’s composed of ultrasonic energy delivered at a high-frequency (20,000 Hertz) and the compressive force generated by heavy machine rollers. The welding process is followed by a CNC mill to remove the excess strips of material. These steps are repeated to form the finished object. Selectively applying the strips of metal where material is needed results in significant waste reduction compared with traditional subtractive manufacturing. UAM’s ability to create objects with multiple metal selections with tight bonds makes it ideal for high-value end-use components. Advantages of using UAM over traditional manufacturing are that more complex internal structures are possible and UAM parts will exhibit better mechanical properties. Current material selection includes copper, nickel, silver and stainless steel. As with any technology, new and better techniques are developed constantly and 3D printing is no exception. A few 3D printing technologies that are still in their infancy are High-Speed Sintering (HSS), Voxel Printing/Voxel Assembly and bio printing just to name a few. Even current technologies and processes are changing at a rapid pace. With such a great movement happening in the 3D printing space its future is bright. Clogged Hot End – What to do? A clogged hot end will unavoidably be an issue that needs immediate care and this article will help you diagnose and solve the problem. Unlike many other issues, a clogged hot end will not only impair the quality of your prints, but most likely your ability to print at all. We will cover the main reasons for clogged hot end and explains how you can resolve it in no time. When using PLA, the optimal extrusion temperature can be anywhere between 160 and 220 degrees Celsius. Extruding at too low of a temperature will most likely result in no extrusion at all, but the opposite can be dramatic. In fact, if you try to extrude at too high of a temperatures for the given material, your filament could simply vitrify in your extruder and clog it. vit•ri•fy: To change or make into glass or a glassy substance, especially through heat fusion. Vitrification is a process causing the PLA or other types of plastic to become extremely hard and clogs the hotend. The same goes for ABS, Nylon, PVA, etc. After several prints it’s often the case where dust that came in with the filament and other debris is starting to clog the extruder. These debris can stick to the inner walls of your extruder and restrict the flow of plastic eventually leading to a clog. Resolving the issue is simple but requires appropriate tooling. You will need a small drill bit < 0.35 mm or anything else that can solidly serve as a drill bit small enough to enter the hole of your extruder. A member of our forum recommended using a .33mm guitar string which can be easily found in music stores. Another alternative is to use the leg of a resistor or a LED that is thin enough to fit inside the hotend nozzle. You can now get back to printing! For more help, don’t hesitate to contact us! 3D Printer interruptions are rare but not unheard of, especially if you are running multiple memory-intensive applications or if you have multiple USB peripherals. When this happens you can usually take note of the last instructions sent to the printer before it stopped and modify your G-code in order to restart from the appropriate line. In this article, we will guide you through the steps we use to salvage interrupted prints using Repetier-Host. 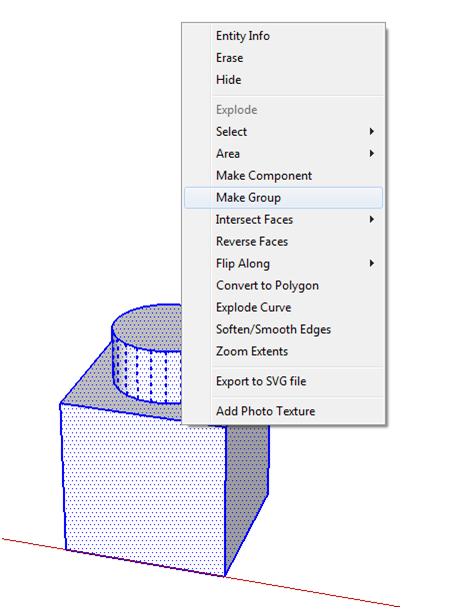 The salvage method discussed in this article will only work if your slicer setting had the extruder set to relative mode (in the Dimension Tab of SFACT) when the print was interrupted. Oh no! Your 3D printer just stopped!? The first step is to wait a little while as your computer may have only stopped temporarily while it processes other applications. If the printer resumes without any intervention then you should probably reduce the amount of programs that you are running or allocate a higher priority to Repetier-Host. In the event that your printer does not resume, your next action should be to raise the hot end from the printed section. If the printer is unresponsive, disconnect and reconnect. 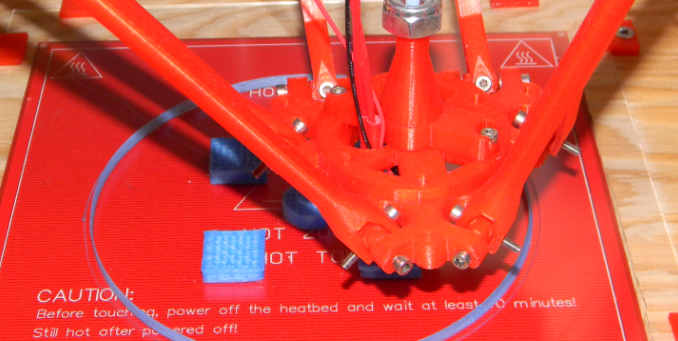 Raising the hot end is a necessary step to prevent any melting that could damage your print. The next task is to find and record the last instruction that was sent to the printer before it stopped. To accomplish this you will need to take a look at the bottom of the Repetier-Host interface for the log window. From the log window select the “Send” function (or the “Commands” function for Microsoft Windows) and scroll down to the last line. Copy the entire G-code from the Repetier-Host G-code editor window into your favourite text-editing program and then use the “Find” function of the program to find the last G-code line that was sent. Once found you can delete all previous lines and keep the subsequent lines. You must add the M83 command to the beginning of the G-code before the first instruction. This sets the extruder to relative mode. Before restarting the print, re-home your printer and make sure that the hot end is pressurised by extruding some plastic. 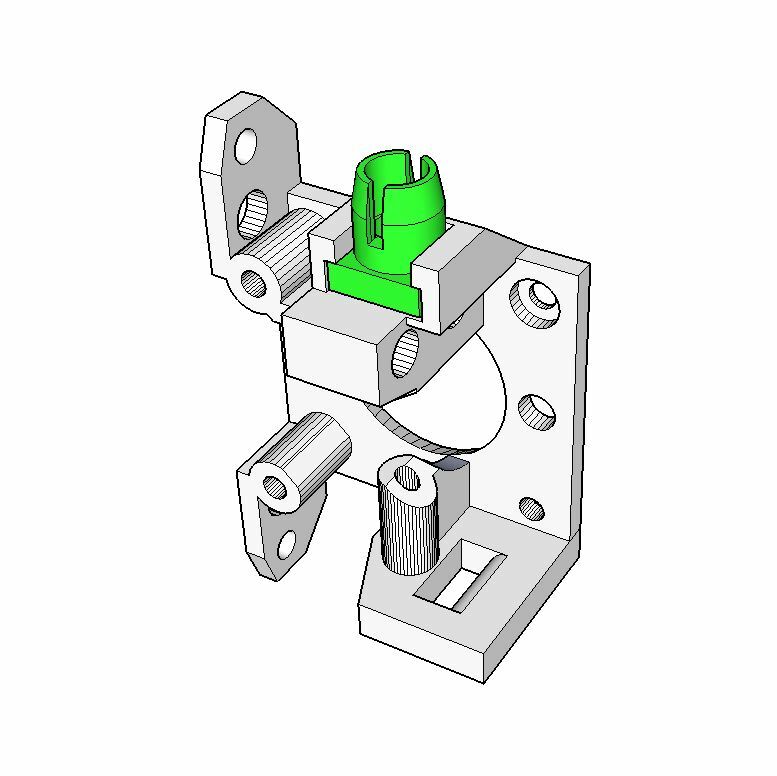 Move the hot end above the partially extruded part. This will ensure that the hot end does not hit the already printed material. In the case of the Rostock BI V1.0-2.5 you can press Home All and hit the Run button for steps 4 & 5. There you go! You saved your print and didn’t waste any material. The estimated time left to print will be inaccurate as the information used to calculate time is in the G-code section that has been deleted. Do not adjust your end stops during this process or the part will not resume properly (it will shift). At Boots Industries we often use SketchUp to create 3D models that are ready for print. 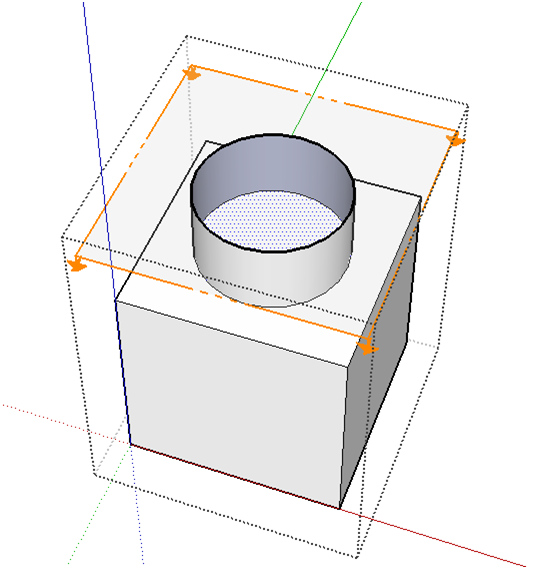 In this article, we’ll introduce the use of a SketchUp plug-in called “Solid Inspector” created by Thomas Thomassen. 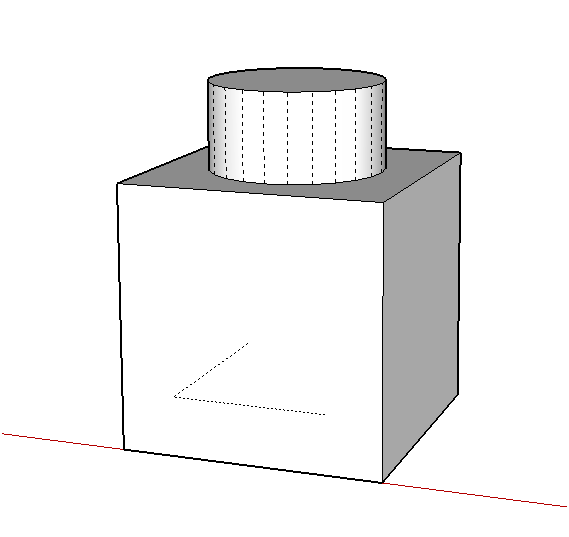 This plug-in is so effective that it’s now used every time we design a part in SketchUp. An important step in producing high-quality models is to ensure that they are “watertight”. What does watertight mean? Essentially, it means that there are no holes in any of the shapes and that if you were to trap water inside the model it would have no way to escape. Creating watertight models is vital in order to ensure that your slicer software is able to properly interpret the model and print it without any unexpected results. Still not convinced? Let’s look at a simple example so that you can see what could happen if your model is not watertight. 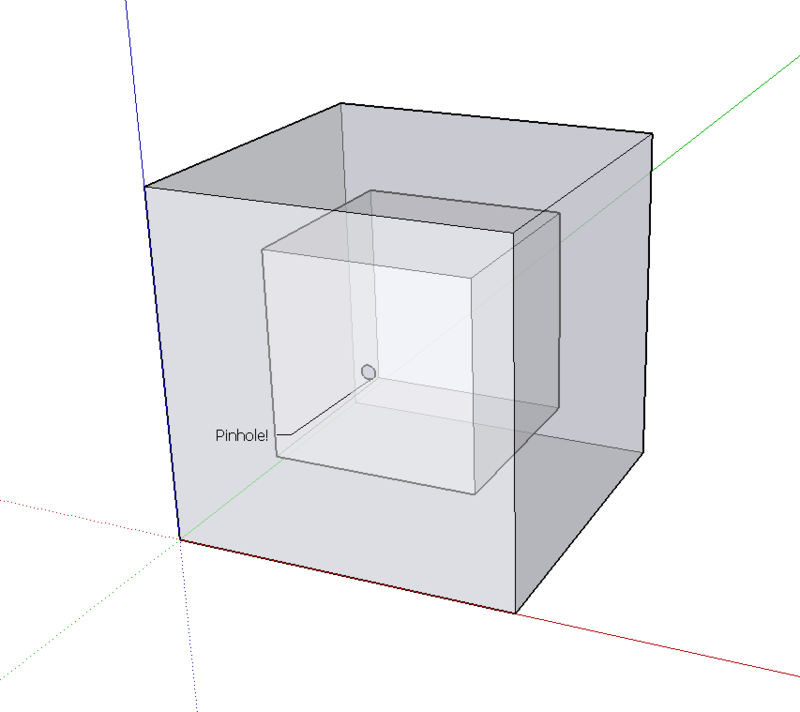 Let’s start with a hollow cube. This cube is watertight and when we bring it into our slicing program we obtain the expected result in the 3D preview window. 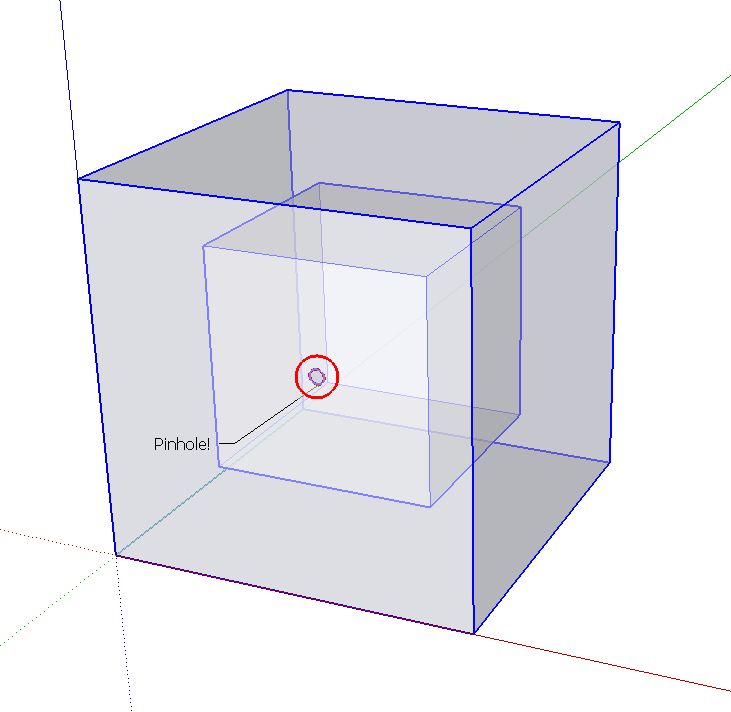 Now, let’s voluntarily introduce a small pinhole in the model and see what happens when we slice the model. We’ll exaggerate the pinhole and make it obvious for the sake of this demonstration, but, when dealing with complex models, some small holes and discontinuities can be quite hard to see. 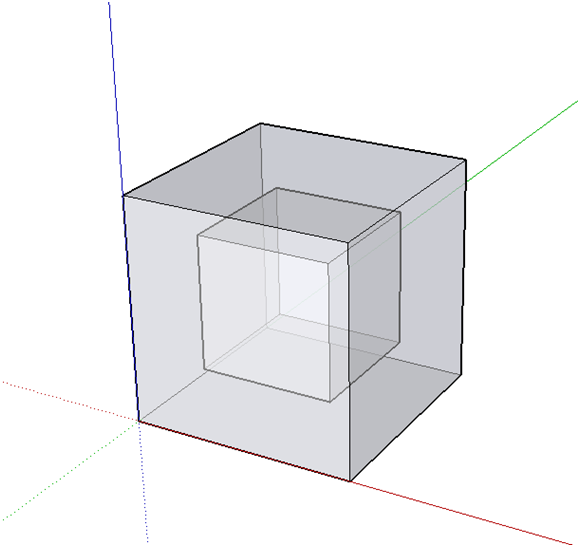 This time when we slice the model and look at the preview we can see that the slicer could not properly interpret the model and has filled the hollow part of the cube. Now, had we used the Solid Inspector, it would have alerted us immediately to the pinhole and would have allowed us to correct the model before slicing. 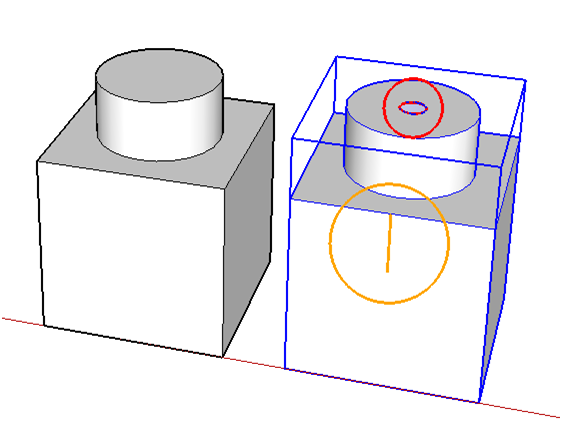 In order to use the Solid Inspector, you must first “group” the shapes of your model. 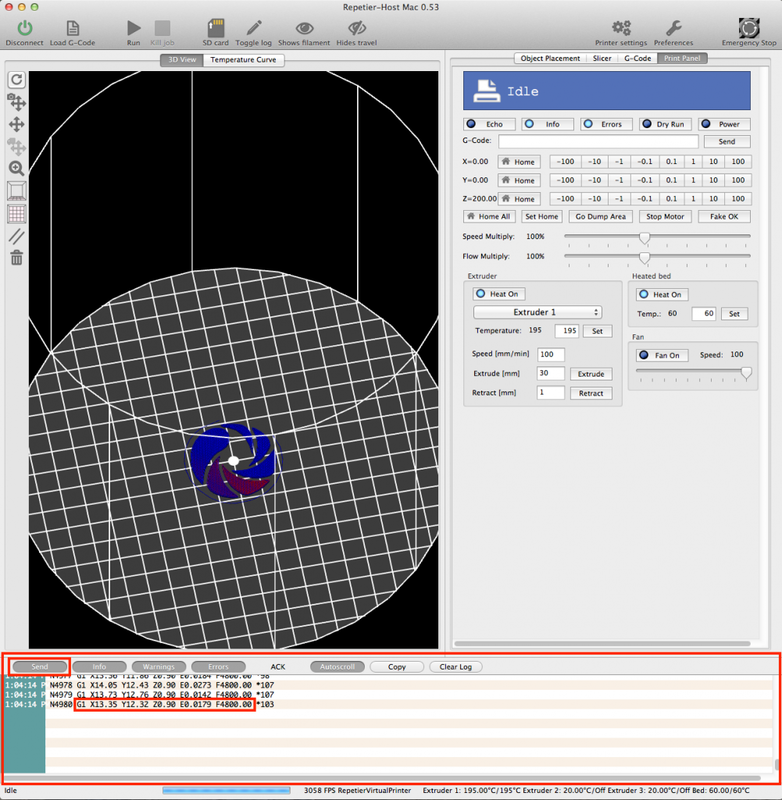 This can be done by right clicking the model and clicking on Select, then All Connected and then right clicking again and selecting Make Group. Select the model (it will become blue when selected) and simply press “I” to run the Solid Inspector. Alternatively, you can go into Tools and then select Solid Inspector. You will find that if your model is fine, nothing will happen and that when there is a problem there will be a visual indication. Red indications sometimes refer to water tightness problems. So far we have focused on water tightness, but another important feature of this plug-in is that it allows you to quickly identify and remove unnecessary components in your model. This is what we call the “cleanliness” of the model. It’s good practice to make sure that your models do not carry useless edges or faces. It’s a fact that sometimes after a long night designing parts we sometimes forget to remove a useless edge. By applying the Solid Inspector we can quickly find these unnecessary components and remove them. You probably noticed on the last image that there is also a yellow indication. This indication marks a useless component, i.e. one that does not form a useful volume in the model. In this case, I simply drew a random line on a face of the model and Solid Inspector determined that it’s not really useful in my model. If I remove it, the yellow indication will disappear. Typically, we work with the Solid Inspector to solve one problem at a time. Then, we inspect again to see if the problem has been solved. It’s not uncommon to solve a problem and see new problems appear in models that are complex. Simply go through and eliminate each problem one by one until you have a clean model. To get you started we’ve included additional examples of typical problems you will encounter when making 3D models. A possible problem is when you have a useless face inside a model that does not contribute to the overall volume. In this case we also receive a red indication and the entire perimeter of the face in question is highlighted. 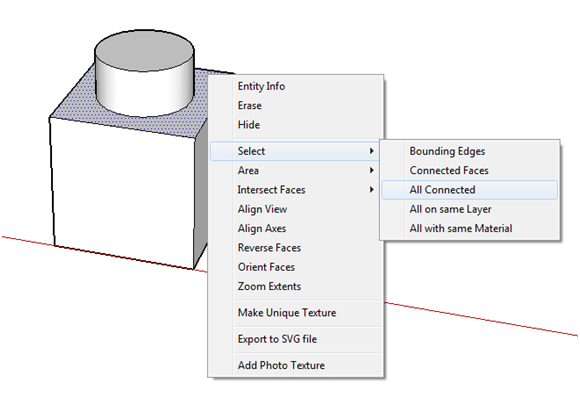 If we take a closer look at the model by using a section pane (click on Tools and then select Section Pane) we can clearly see that a face exists inside the model. In this case all that is left to do is remove that inner face and re-assess the model using Solid Inspector. Another problem you might encounter is an error where there doesn’t seem to be anything abnormal with the model. This can occur when some aspects of the geometry are “hidden” from view. In this case it’s useful to go into the View options and select Hidden Geometry to show the hidden features of the model. Once the culprit has been revealed you can select and delete as normal. In conclusion, this plug-in is fantastic at quickly evaluating the water tightness and cleanliness of a part before production, but it’s also a great learning tool. Indeed, as you spend more time designing you will learn how to anticipate where and how errors occur in typical models. To help you better understand we’ve also included a SketchUp model with the examples used in this article. 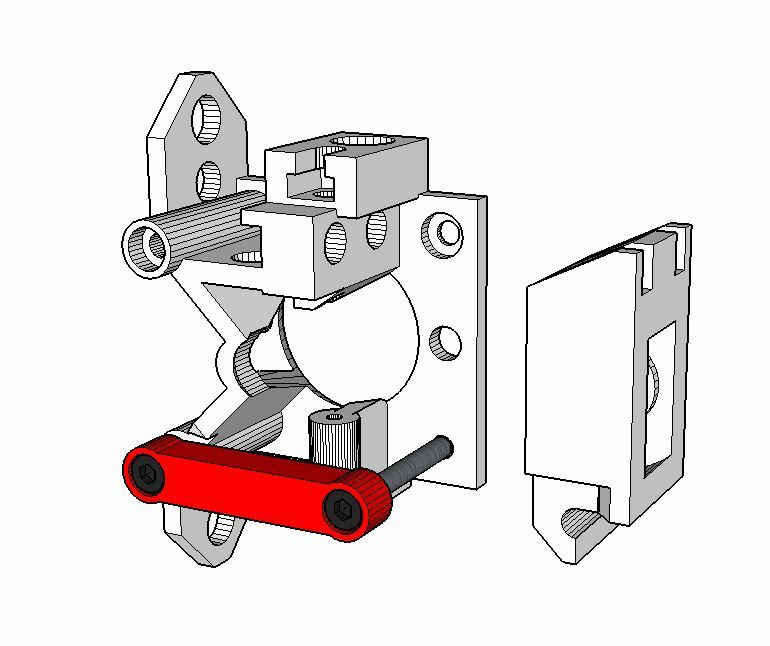 As part of our work for the construction of the Rostock 3D Printer BI Edition, we modified Airtripper’s original extruder. 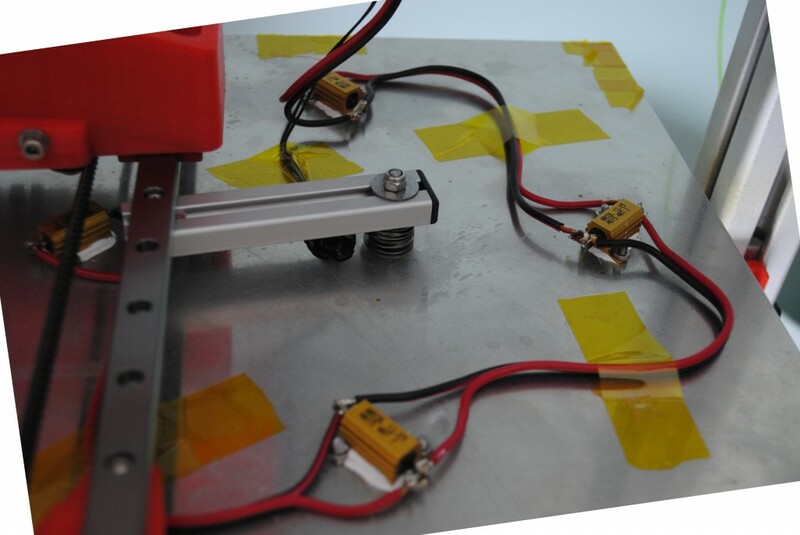 Our initial goal was to reduce the complexity of the extruder while maintaining the same functionality. Our efforts were initially focused on replacing the idler/tensionner body strut with a printed part that would support it just as well. We removed the motor shaft support since we did not have a miniature ball bearing on hand. After several hours of printing we haven’t experienced any problems with the removal of this part so we decided to leave it out of our final design. However, we would caution that a sufficient infill is required in order for this piece to be strong enough (we recommend > 40% infill). We slightly elongated the filament guide tunnel. With Airtripper’s original version, we sometimes found that the filament would curve and fall outside of the effective gripping zone (between the bearing and the 5mm insert). Elongating the filament guide tunnel meant that the filament would remain straighter and eliminate these types of problem. When the extruder is installed on the Rostock BI frame, there is little clearance to manipulate the nuts. As such, while trying to install them, it wasn’t uncommon for them to be dropped. 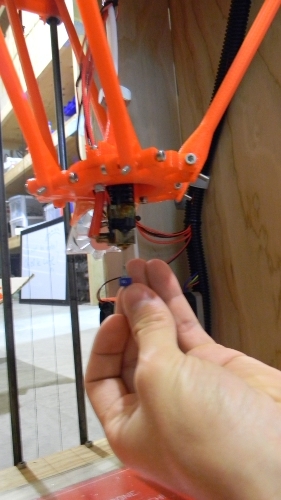 To solve this problem, we decided to embed the nuts and it worked nicely since we could press them into place and manipulate the extruder without having to worry about it. Finally, we decided to add a tube adaptor for a 4 mm outside diameter (OD) teflon tube. This addition proved useful since we were trying tubing that had different ODs during the development stage of Rostock BI. We would like to thank Airtripper for his original design. All the Sketchup models and .stl file for the BI edition can be found on Thingiverse.